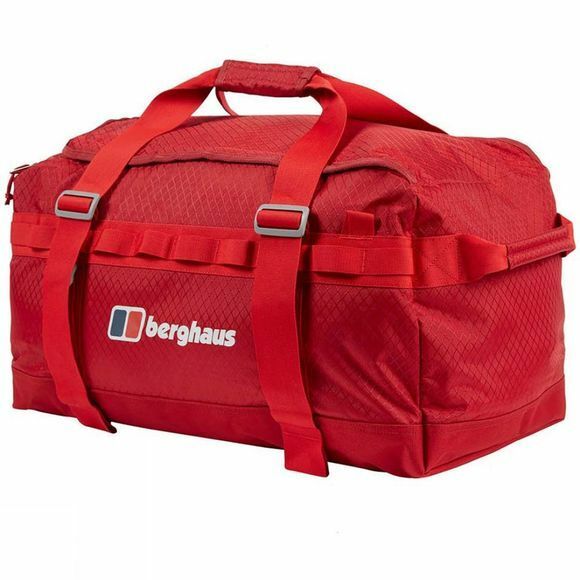 Lightweight, packable and tough, the Expedition Mule 60 Duffle Bagis a generous space that’s easy to handle, and will do a great job of protecting your kit on the way to base camp. Planning a serious trip? It’s the most important time you need your kit to arrive intact. The super strong, yet light Expedition Mule 60 is up to the task. 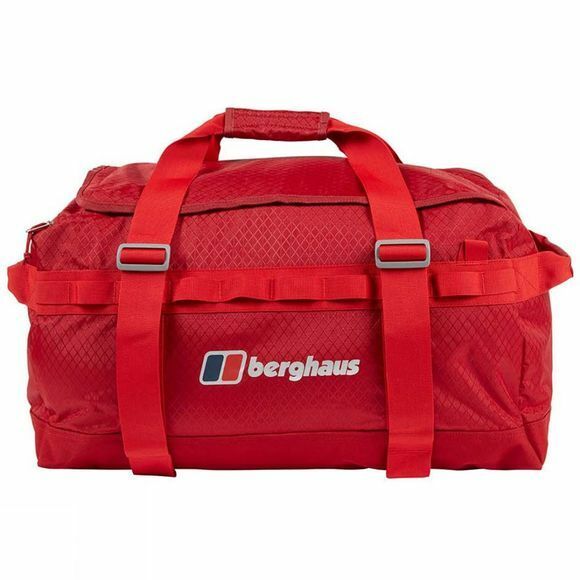 Once the job’s done and you’re about to begin your journey, simply fold it away into a compact zipped pocket for easy storage. Loaded with lots of handles for easy pick up points, it even converts into a rucksack and has detachable shoulder straps, perfect for carrying through a busy city to the airport or on the last leg to base camp. Keep essentials safe in zipped pockets and watch as even at its most crammed it reduces down thanks to side compression straps. It’s a great way to make sure the challenge is your expedition, not the journey there.